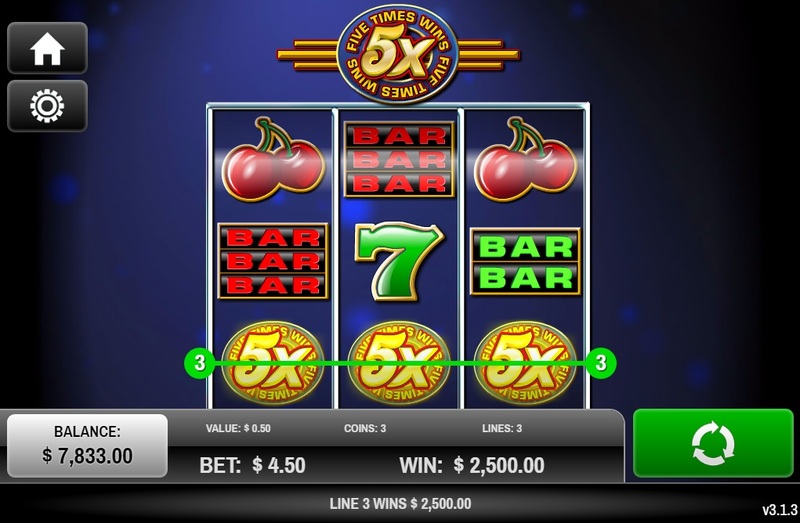 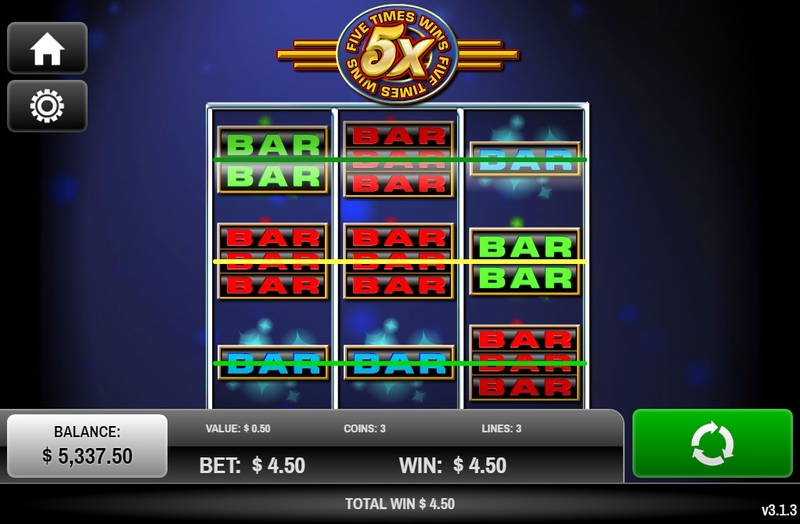 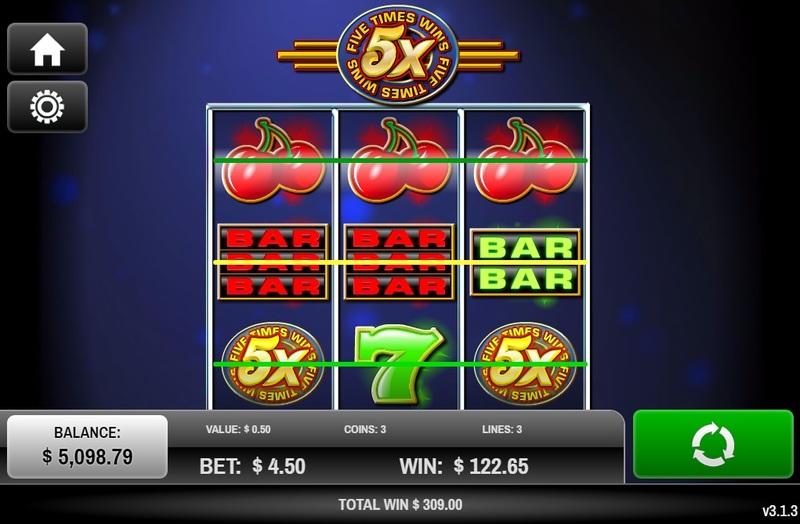 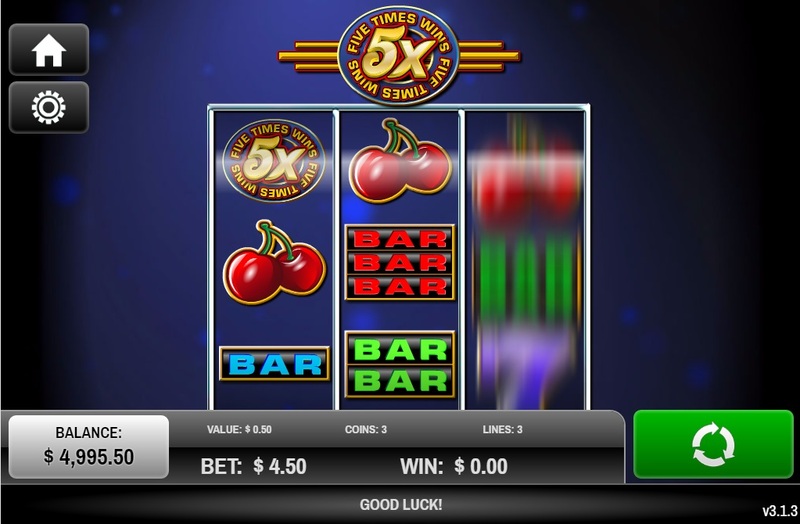 Five Times Wins Mobile (5X Wins ) is a classically styled 3-reel with 3 pay lines. 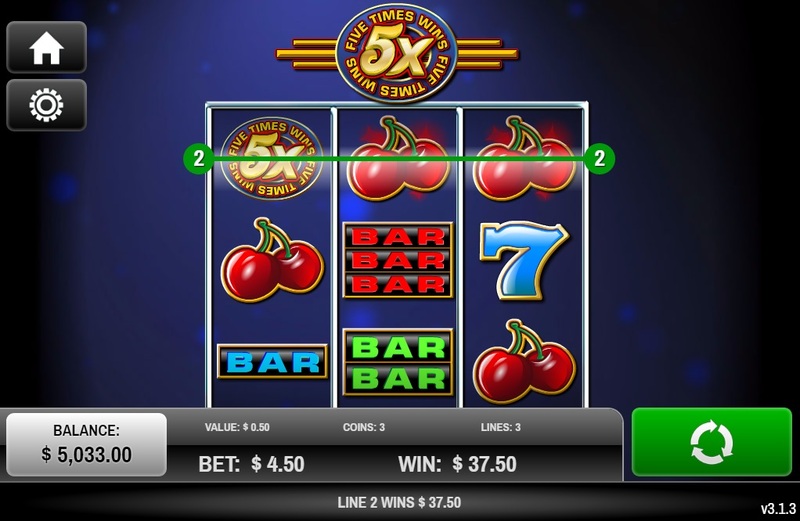 There are typical symbols featured in this game including cherries, BARs, and sevens. 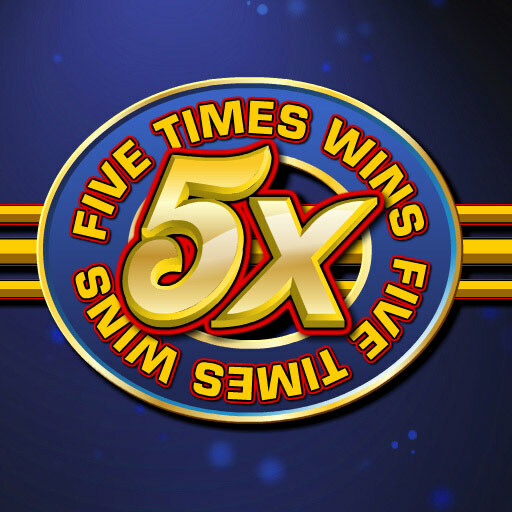 The one to really look out for though is the 5X Wins symbol, which acts as a wild with a 5X multiplier! 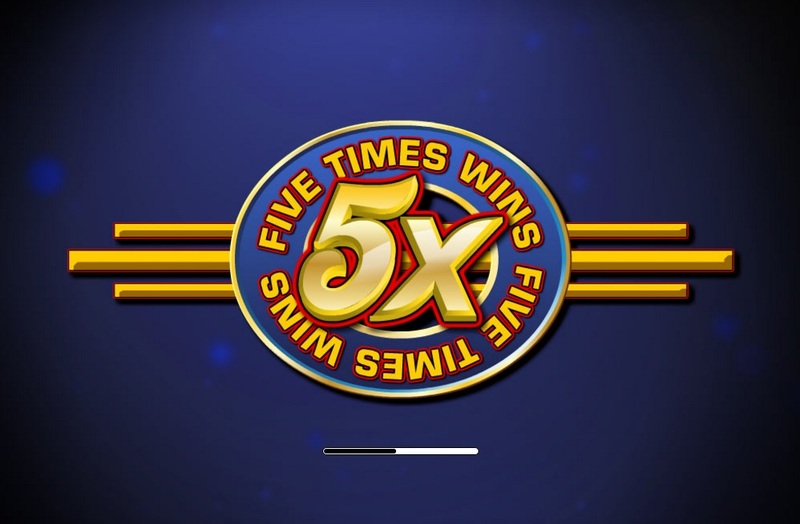 You'll have five times the excitement playing Five Times Wins Mobile!